Who doesn’t love candy?! I mean, c’mon people–it’s fun and delicious! 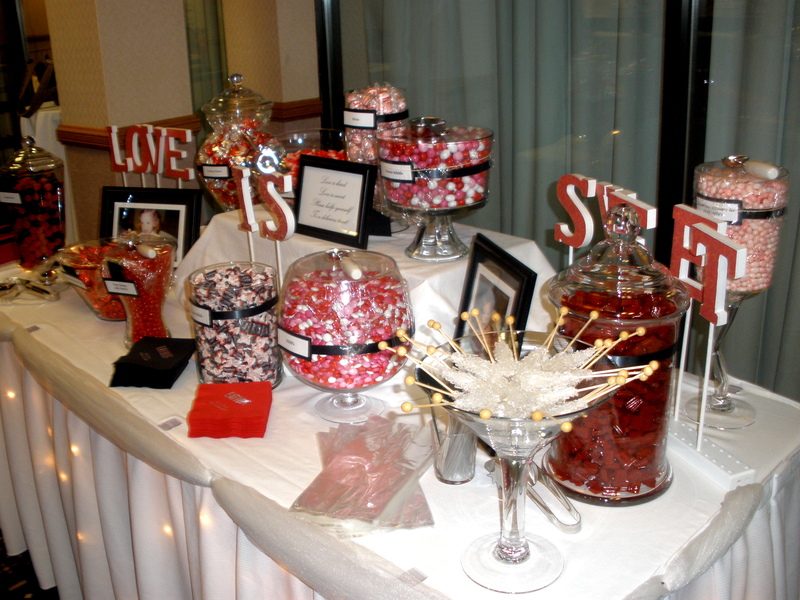 =) Today I had the privilege of helping out The Wedding Genie of Eau Claire, WI with a wedding. 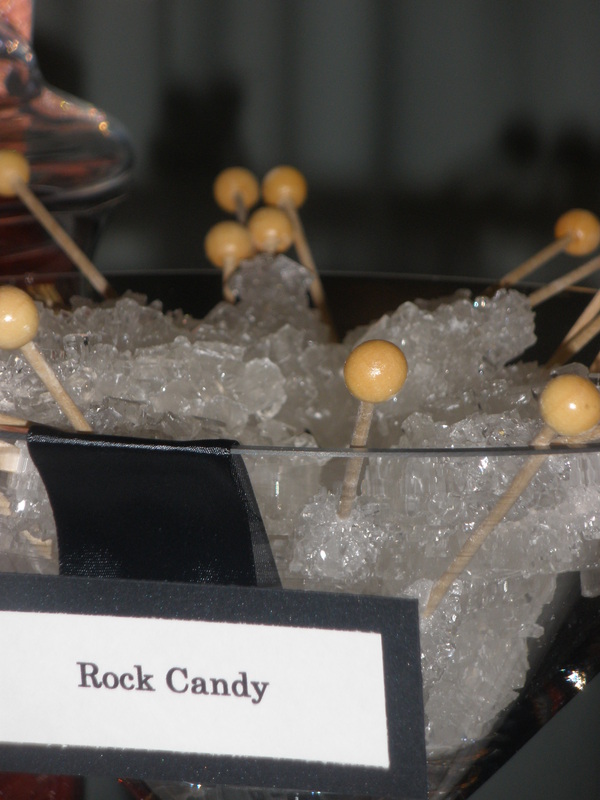 They had a CANDY BAR that was unbelievable! While setting it up, we were salivating and giggling with excitement-it was way too much fun for us!! 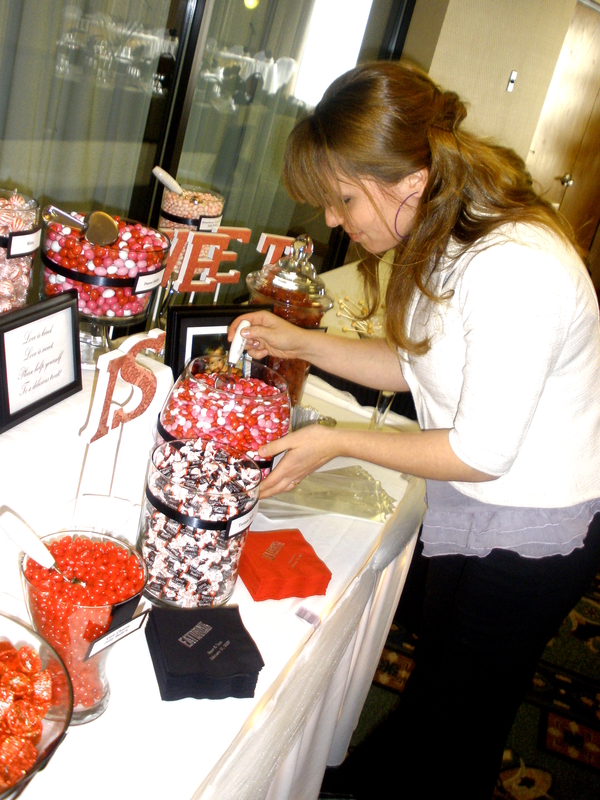 She had M&M’s, pink candy corn, raspberry candies, rock candy, jelly belly’s–the list goes on & on! 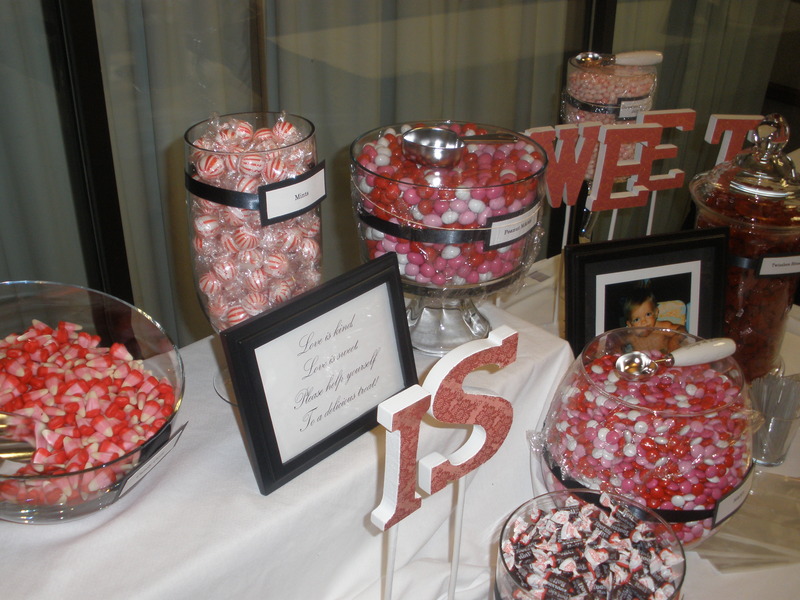 Along side all the candy their was pictures of the bride & groom as babies eating candy! It was so sweet. 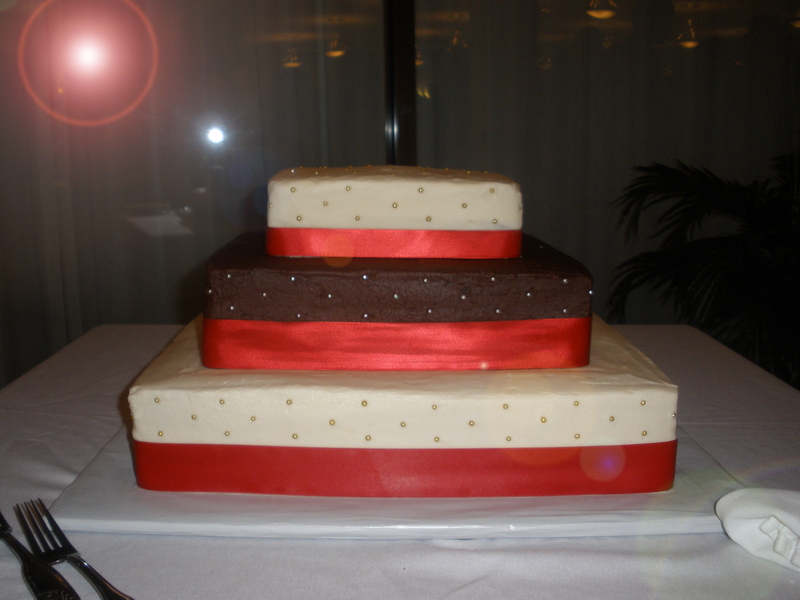 I fell in love with the idea and you know who else did–every single person at the reception! It was a HUGE hit!! The line ran for about an hour and we just kept refilling jars. It was such a fun thing for the guests to do while they were waiting for the meal. Take a peek at the bliss that was my day!